I’ve been a runner for as long as I can remember and I dreamed of being a runner before that! It’s just something I have always done, something I still do and probably something I will always do. I began my running career at 9 years of age as a sprinter—100, 200, 400 meter events—spent my university years as a middle distance runner—800 meters, cross country (5k) and various relays such as the 4×400 and the distance medley. I spent my university years in Little Rock, AR and this is where I developed my love of trail running. I would take an occasional trip out to Pinnacle Mtn State Park to run trails or you could find me in a park close by my apartment with miles of mtn bike trails regardless of the weather. Never mind the fact that the park was home to many undesirables and random criminal activity!—it contained trails and that was all I cared about. Thankfully, nothing bad ever came from my solo jaunts through this park. I still spent quite a bit of my time training on any sort of trails I could find and had some pretty cool trails to run when I moved to Canada in 2002. And while I still ran quite frequently, other sports captured my attention (like mtn biking, hockey and softball) so competition fell to the wayside as running became something I did to simply stay in shape. 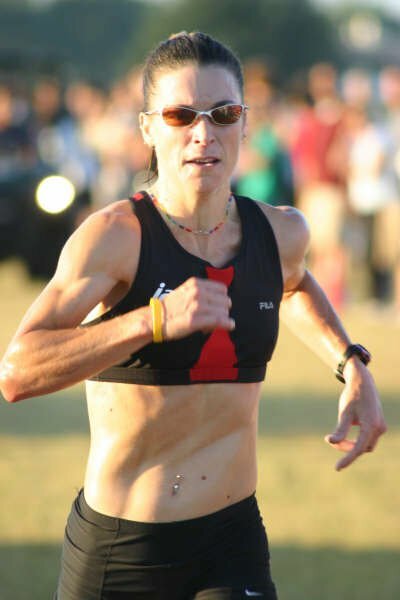 I moved back to San Antonio in 2006, ran some great races in Mexico, California and Louisiana before taking a break in 2008 after running my very first 50k in December of 2007. I ran what was then the Sun Mart 50k/50miler and I did not begin this race with any aspirations of winning that is for sure! But I did win it in a time of 3hrs and 46min. Only 1 other man had beaten me so I was second outright. I ran a few more road races after this, then faded into the land of “time off”. I tried to return to the world of road racing in 2010, but was having some difficulty so I quit and simply ran a couple times a week just because I could not quite let it go. I moved to Portland, OR in the spring of 2011 to be with my long-lost love (I’ll save this story for another time!) not knowing that ultra running would soon become a passion for me. I’m an introvert. 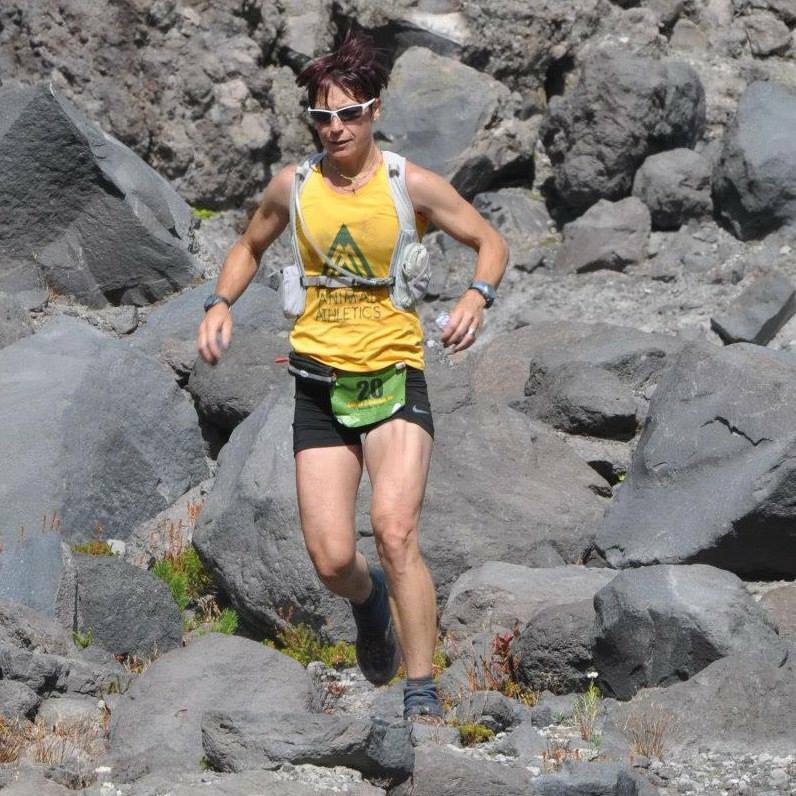 It’s hard for me to socialize and I tend to suffer from a hellacious case of open-mouth-insert-foot syndrome, but I found myself wanting to be a part of the trail running community here in Portland after attending a few group runs and ultra races. The Trail Factor 50k in May of 2012 really started the ball rolling for me. It was, what I considered, my first legit 50k and it hurt, but I was hooked. Not only was the distance and terrain challenging, but the laid-back, welcoming and generous attitudes of trail runners, RDs and volunteers was—and still is—so amazing that I could not help but be drawn to more ultra races. 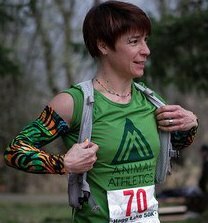 I raced the Coastal Trails Forest Park Marathon, winning this one outright thereby causing the RD to question (jokingly) if I had run the entire course! 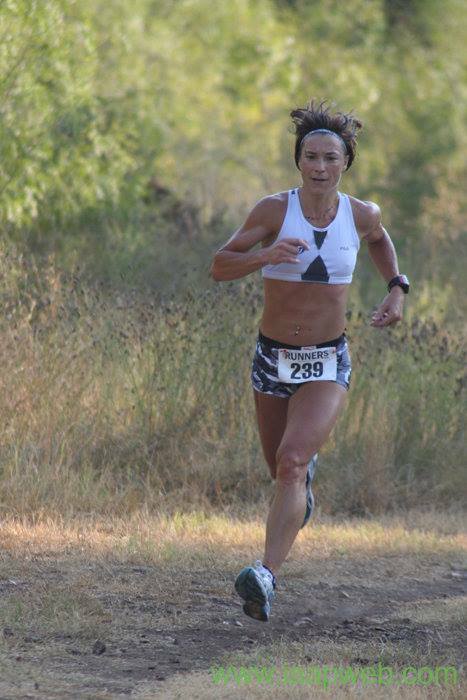 I was only a couple of minutes off the men’s course record and I set a new women’s course record of 3:16.0. I signed up for the Portland Trail Series after this, then managed to squeeze into the inaugural Volcanic 50(k). I won this race by default after Nichole Sellon t ook a wrong turn allowing me to take home the first place title. 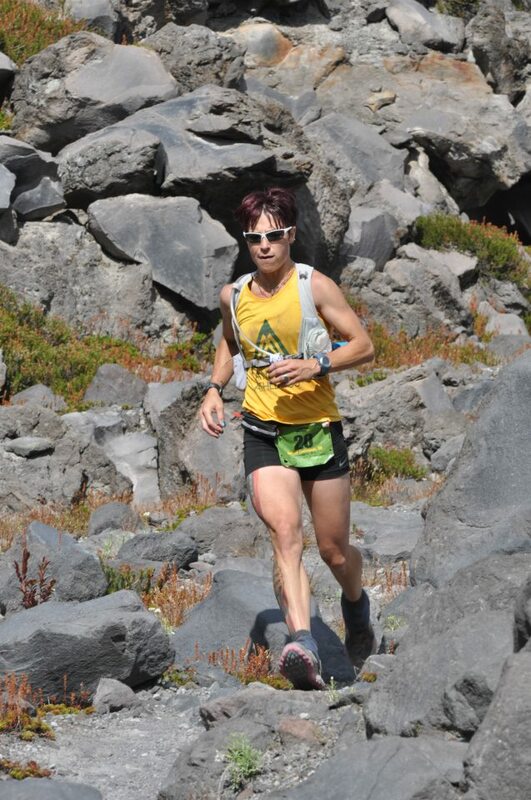 My race schedule for 2013 was a busier one with races of varying lengths, including my very first 50 miler at the Mt. Hood 50 Mile in July. I tried my luck at 50 miles again by running The North Face, but had to drop due to some random ankle pain that ended, temporarily, my hopes of placing among some of the best women in the world. And while my 2014 season is off to a dud of a start due to a pulled glute, I still have high hopes and aspirations, and I plan to train even harder in an attempt to see just how far and fast my legs will carry me. Nice, Dre! You continue to inspire me! Can’t wait to see what awesomeness 2014 has in store! Love ya, my friend! You’re my shero!!! You’re the reason why I decided to push myself and make the 1/2 marathon my race. No matter what you do, Harvey and I are here for you and will always support you. Great to see your bio! You’ve crushed some great races! This is awesome! You have always been an inspiration to me. Keep on keeping on!